This post is written for loved ones of those with co-morbid Borderline Personality Disorder and Narcissistic Personality Disorder and those who may also have Anti-Social Personal Disorder (ASPD). It is not intended for those with any of these personality disorders. It is intended to offer guidance, help, information and support to loved ones being hurt and/or lost and confused not understanding what is happening in their lives and why they hurt so much. Why their love is not reciprocated but is in fact met with painful manipulation, blame, accusations, and in many cases disgust and hate – the projected out inner world of how people with co-morbid BPD/NPD and/or ASPD truly feel so painfully, sadly, bad about themselves and then project that out onto others. People with Narcissistic Personality Disorder are truly “wolves in sheep’s clothing”. 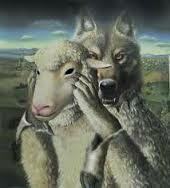 That is until the mask of “sheep” is melted away by the discovery of the wolf underneath. It can take time. It can hurt like hell. It will fool you. It will feel like incredible betrayal. Trust your gut instincts. If it seems to good to be true, it is! Rarely do narcissists (generally) just show up as who they are. No. They want to hook us and manipulate us and think they’ve fooled us first with their arrogance and the pseudo-persona they (the sheep who “really cares” that they’ve shown us. (Their illusionary fantasy that they are “superior” to us and will have their way with us) and their webs of fantasy that are outside the reality the rest of us share. Be fooled not – be fooled not for long. When you see the face and behaviour of the predator wolf, don’t feel pity for them, protect yourself. People with Narcissistic Personality Disorder, or many of the traits, are very wounded and traumatized in their childhoods. For that, as someone who works with people with BPD, NPD, and the loved ones of both, I advocate the extending of understanding compassion and empathy for what they have suffered in their pasts and continue to suffer today. However, let me be very clear, when offering or feelings that compassion and empathy for the person with BPD or NPD, in your life, do it from afar. As therapists working with these clients we need to protect ourselves too, however, that is done by maintaining the structure of the process and our own boundaries. Reflecting back what we are experiencing to the client in the context of an example of how a loved one they have talked about might feel given something they have just said to us in a disrespectful, abusive, or otherwise inappropriate way. We need to be compassionate but careful to not get caught up in the client’s drama and patterns of manipulative relating. Narcissism is an elaborate vortex of layers and dense layers of maladaptive defense mechanisms. In Borderline Personality (to a degree) and Histrionic Personality, Narcissistic Personality (at the core of this one) and Anti-social Personality (ASPD) sociopathy or psychopathy even more elaborate defense strategy and automatic patterns of manipulation and overcompensation come into to play and are all the result of a narcissistic intrapsychic injury at a young age (varying stages of development with the different personality disorders). This does not, however, excuse, in any way, their behaviour, or their abuse, projection, blame, guilting others, blaming others or raging at others. The closer emotionally or in proximity you allow yourself to stay to a person with NPD or BPD, who is in your life, or a boss, or co-worker, with strong narcissistic traits the more “psychological” danger (in some cases) physical danger you may be in. 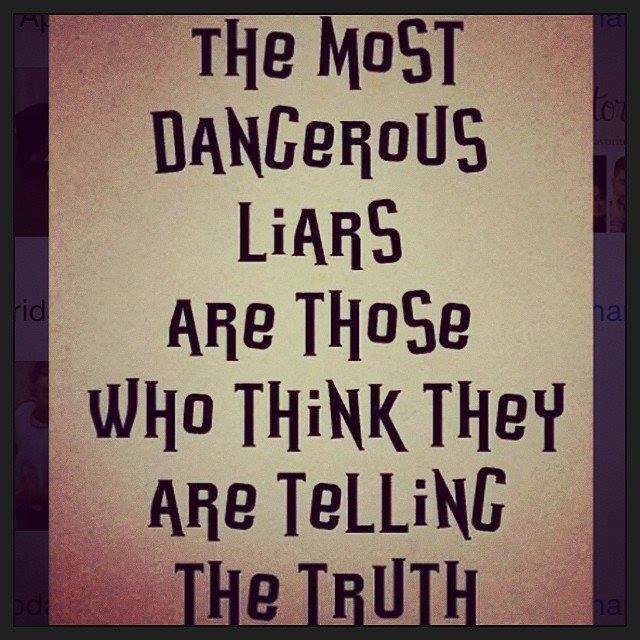 But for everyone on the other side of a Narcissist there is psychological danger that is very real. Everyone, is effected negatively to one degree or another, sooner or later. Ask yourself, how and why is it that I am invested in someone with NPD who doesn’t have the emotional “self” or the emotions to even begin to return to me what I am giving to them and wanting from them? Having compassion for the plight of a person with NPD is one thing, but this you need to have only from afar. It cannot be part of your relational dynamic or you will be shredded emotionally. 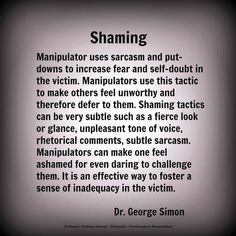 Narcissists will take as much as they can from you, while abusing you, blaming you, collapsing to victimization from their past and blaming you as if you are doing it to them right now. They get belligerent if you try to get them to see your more rational and realistic perspective and they are manipulating, using and abusing you. However, let me be very clear, when offering feelings of compassion and empathy for the person with BPD or NPD, do it from afar. That is to say, do not try to express it to them. Why? Because your compassion, empathy, and caring all become the currency of their narcissistic supply if the person has NPD. If the person has BPD, they may just being taking you emotional hostage to try to be you for lack of an identity. This is how you get trapped. This is the major central hook that loved ones and therapists alike must side-step. It is not easy. In fact, especially the person with co-morbid BPD/NPD or the person with NPD whether they also have BPD or not, are very intelligent and will like a heat-seeking missile identify, find, and target your most caring, compassionate, vulnerable emotions – even when trying to help them see the way they are distancing you when you still care and don’t want to be distanced. The person with BPD and/or NPD is playing out his or her woundedness, yes. But that’s not okay in terms of when it surpasses our limits and what is good for loved ones or therapists to allow to continue. That is to say, to sit and take the abuse, blame, raging tirade of the narcissism shot out at us because the person with BPD and/or NPD cannot tolerate what they are feeling. Even if we try or want to try to help them in ways that might help them with that empty abyss of nothingness or screaming pain inside, if we touch it, say anything, no matter how well intentioned, they will erupt explosively because they simply cannot tolerate the truth or the feelings that leave them feeling shame rather than praised, aggrandized, agreed with constantly, validated and so forth. It’s a no-win trap. Once you’ve stepped over that line and been snared, so to speak, getting free is not easy. It often requires going no-contact. Often, anything short of no-contact, will still find you being hurt considerably by the person with NPD who is not only desperate to not feel the numbness or the real pain down deep inside of them so they emotionally and psychologically manipulatively beat you up to gain a sick, sadistic, sense of power from which to then feel in control (often can be just an illusion to them). We know differently, but they feel they’ve got you. Whether or not they’ve big time “gotcha” as in are really emotionally hurting you or not, matters not to them, as they feed off of any reaction you give them. In fact, they may well ask you time after time of the narcissistic “meat-grinder” experience, how you felt when they did/said this or that. If you answer, you give them more sadistic pleasure and more information with which to know where to aim the abuse next. The more you tell a narcissist about yourself the more they will use it against you in more and more painful (and to some) shocking ways. It is evil, in this context. You don’t want to believe they can be that devoid of human emotions like empathy and compassion as to be so selfishly evil, but, indeed they can, they are, and that is what makes them so emotionally and psychologically and sometimes also physically dangerous. If you hurt, they will turn that on you and tell you that you can’t hurt like they hurt cause you are being so mean and unloving to them (even though you are not). If you react to try to protect yourself, if you get angry, then super (empty) victory for the narcissist because now they know that they are successfully winning (in their minds something though they may have no idea what). They also have no idea how they are sabotaging themselves if they wanted anything even remotely real with their prey – their victims. They are winning or succeeding in taking your peace away from you so that when you show them anger it actually fills them with a sadistic delight – narcissistic supply. In fact, they will often smile just as you hit a wall of internal agony imposed upon you by them. Do not give in at all with your limit or boundary – simply, calmly, re-state it even though the narcissist will not heed it. If you don’t know what your boundaries are or you are already over them seek help and support immediately. Be as neutral emotionally as you can. Detach yourself emotionally from the barrage of blame and accusations that the narcissist will hurl at you. Detach emotionally from what is being said to you. Have an internal boundary wall so that all that is hurled at you bounces off that detached wall inside that is your boundary of self and do not take in what a narcissist says about you – the fake compliments or the very real abuse that reflects statements that are true about the narcissist and not at all about you. Observe what is said, but do not absorb it – do not take on the narcissist manipulative ploy to get you to feel bad about yourself or to get you to try to defend yourself. They are counting on that to get you engaged in their chaotic dramatic manipulation so that you can effectively (for them) become the garbage container of what they cannot tolerate thinking or feeling. Do not respond to the manipulation of being blamed and start to try to set the record straight – You will just be dragged in deeper. This is reactionary engagement that is a total lose for you. It is a painful merciless place to be on the other side of a narcissist who is playing with you like a cat would play with a mouse. People with BPD/NPD will right fight all night – no reaction is your only hope and yes that annoys them greatly, unfortunately. But by not reacting, remaining neutral, you can keep the boundary of not taking this in and getting as hurt. Realize that the narcissist is trying to emotionally feed off of you to feel better by making you hurt. It is sadistic. Whether conscious or subconscious – that does not matter. Take care of yourself. So many people at this juncture feel sorry for the narcissist. That is a way of them getting to hurt you at an even more deeper level. Do not give yourself over or lose yourself. You must remain neutral and not allow too much exposure to the tactics of the person with BPD or NPD or both. Do not bite/react to the narcissist’s haughty dismissive hook of “Now I feel distanced.” “You are mean.” “You are cold.” “You are not being loving to me”. As they abuse you, “why are you treating me this way?” People with NPD actually in desperate overcompensation believe or have the illusion that their way of being so punishing and frankly impossible – very distancing and hurtful to say the least, is them giving you “love”. What’s the matter with you if you don’t recognize their “love”? See how crazy-making a vortex you enter if you aren’t neutral with a narcissist? Do not try to rescue them – in doing so your will lose yourself and any peace of mind you used to have. You cannot change this person. You need to protect yourself. They may try or feign caring about you. They don’t care – they aren’t capable of caring in the way that you understand what that means. When they are in the “building you up” manipulative phase of idealization (false thought it usually is) they are acting, trying to get you to see how loving, kind, and caring they are. Well, they aren’t loving, kind, or caring. They do not have empathy or compassion. They are merely working you. Manipulating you and trying to get you on the hook so they can then really show you who they are. 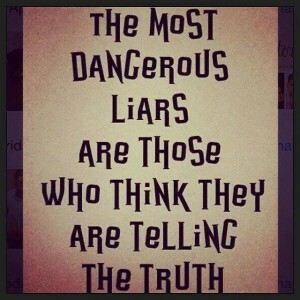 Narcissists are pathological liars. They are always working an angle, an agenda. Often it involves telling you what they know you want to hear and what they know you want to believe about them even though they know full-well they are not the person they have pretended (for a time) to get you to think and believe that they really are. They are future-fakers. They will promise to “make it up to you”, to “stop it”, to “be better” – all false promises at best and manipulative lies at worst. When you are in a dynamic or relationship with a Narcissist, at some point, all interaction can be reduced to arguing about who is or is not the victim. No matter what the subject of the chaotic situation is it’s really about the narcissist being the victim and at some point it will become about them being the victim because you did ….. to them as they project on to you what they are doing to you, as if you are doing it to them. If you go there you will get shredded emotionally. The narcissist has to be the victim and will twist and gaslight and verbally abuse and scream in an effort to get you to validate that. Don’t! At the same time, don’t remain in the situation/conversation/argument and chaos if this is where you find yourself. The only way out is to escape. Retreat. Go visit a friend. Leave for awhile. Or maybe this might be the breaking point at which you begin to see that you can’t go on this way with this person. If the narcissist can’t own you, then at some point, they will dismiss you and be on to the next victim they can play cat with as they see everyone else as that helpless “less than” insignificant disgusting little mouse that they know they will out-smart and have their way with because of their grandiose belief that they are so much smarter, superior, and better than the rest of us. As a Counselor and Life Coach I work with people with BPD, or people with BPD/NPD. This article is about the person with BPD and co-morbid NPD or NPD and most of this does not apply in the same way to the same extent (usually) with those with BPD and not other co-morbid Personality Diagnosis. When I work with these clients, I maintain the compassion I have for their plight, their woundedness, the traumatic childhoods most have had. As a human being and the child, then adult-child of a borderline-narcissist mother and a borderline-narcissist father I know only too well why being or staying close is a recipe for loss of self and for untold pain and suffering and living in the chaotic grips of very wounded people. Compassion and empathy, if they are in your life, from afar, because anything less than that and you will suffer immensely. I also work with loved ones in their healing processes – as I had to go through my healing process on the other side, as a loved one of co-morbid BPD/NPD (also alcoholics), my parents and one (years ago partner) long since Ex-partner. Stay tuned for my up-coming Ebook with much more detail about how those with both BPD/NPD or with NPD or with NPD/ASPD hook you, confuse you, and take away, in many cases your natural defenses – healthy defenses you need – your limits and your boundaries so that you will not be in the most unimaginable emotional/psychological pain ever and blaming yourself. If you don’t know how to protect yourself from a BPD/NPD – a narcissist, please know I am here to help you in sessions as well as what I write if you would like that support and guidance. © A.J. Mahari, February 22, 2015 – All rights reserved.